These are the first and second episodes of Media Roots radio with hosts Abby and Robbie Martin. We break through the left/ right paradigm and speak the truth about 9/11, Obama, the media, terrorism and pharmaceutical drugs. This radio show airs on shortwave radio Sundays at 6pm central time, following the Alex Jones show on frequency 9.350 MHz. 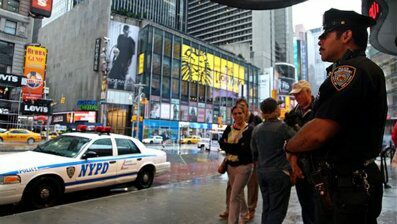 The investigation into the Times Square car bomb has started to reveal information that suggests the failed attack was the work of an international plot, a senior administration official told Fox News. The official could not definitively say whether a foreign conspiracy was behind the incident, but that the body of evidence was moving in that direction. The Washington Post first reported that officials were eyeing an international connection. One official told the Post that "some tell-tale signs" have led investigators to look at a "foreign nexus." The Obama Administration and International Law - "The Law of 9/11"